As children grow and begin to explore the world, it is only natural for parents and guardians to worry about the kind of media they are interacting with. The fact is that many of today’s youngsters are true digital natives, able to instinctively navigate their way around smart devices and content with very little assistance from adults. That’s why Samsung had the needs of both children and parents in mind when the company designed its range of settings, modes, and apps specifically for kids. Now, kids can navigate the world of digital media, while grownups can relax in the knowledge that their littles ones are safe and interacting only with age-appropriate content. 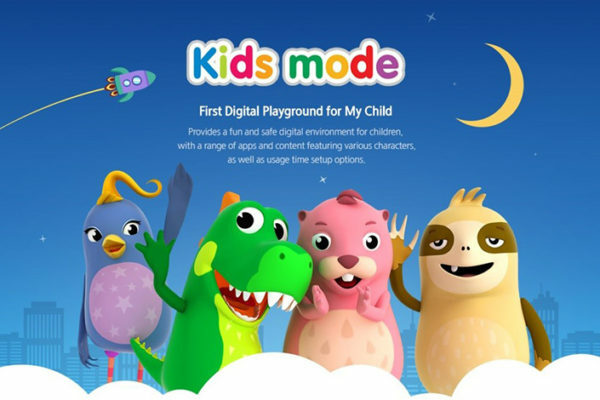 Samsung has taken a holistic approach to creating a child-friendly digital environment with Kids Mode, an entire interface designed for kids, available on their smartphones and tablets. Kids Mode gives parents flexible control over the apps, videos, music and other content that a child can access. After downloading and installing the app, parents can set up a PIN and a profile for their child and select different controls and restrictions for each profile created. They can also limit how long a child spends on a device each day and monitor their daily activity by app. With a simplified user interface in Kids Mode, kids can enjoy a color-rich environment, with large buttons and uncomplicated controls to heighten the fun. The exclusive native apps capture the spirit of play and are easily recognizable by their titles and icon buttons, each featuring one or more of the mode’s four cartoon characters: Crocro, Cooki, Bobby and Lisa. The apps are both a digital playground, and an opportunity for children to gain digital literacy. Crocro Adventure, for example, introduces children to basic concepts of coding, harnessing the power of storytelling to keep young minds engaged. In addition to these native apps, Samsung has optimized Kids Mode for approximately 2,500 more child-friendly third-party apps for learning and play, available for download via Galaxy Apps for Kids. Partnerships with some of the world’s most popular content providers, such as LEGO®, are sure to amuse, while other local partners such as ABC Mouse (US) and Kakao Kids (KR) have also joined them. Galaxy Apps for Kids organizes apps by age group or category, for easy browsing of appropriate content. What’s more, to prevent little hands from making unintentional purchases, downloads are protected and must be authorized with the parent PIN code. As TVs become smarter and access to web-based content and streaming services becomes even more convenient, parents are eager to discover age-appropriate content that can be streamed on the TV screen. Since 2013, Samsung Smart TVs that can access the Samsung App Store have offered support for the YouTube Kids app, a platform that lets kids browse easily, with bigger buttons, simpler scrolling and content divided into four categories: Shows, Music, Learning and Explore. Support for LEGO® TV is also provided, allowing kids to stream their favorite LEGO® episodes on a TV, with convenient navigation organized by themes, stories and ages. 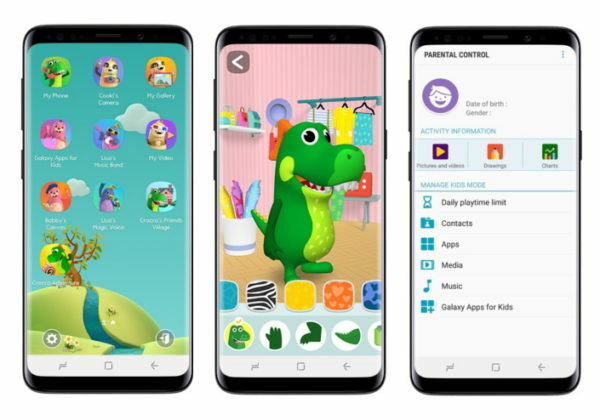 By developing smart, kid-friendly features and devices, such as Kids Mode, Galaxy Apps for Kids, Samsung Kids and support for age-appropriate TV apps, Samsung will continue its efforts to create a fun, educational and safe environment for kids.